Upon logging in to the backend you will be taken to the dashboard screen shown below. The dashboard shows information about the current state of the site. 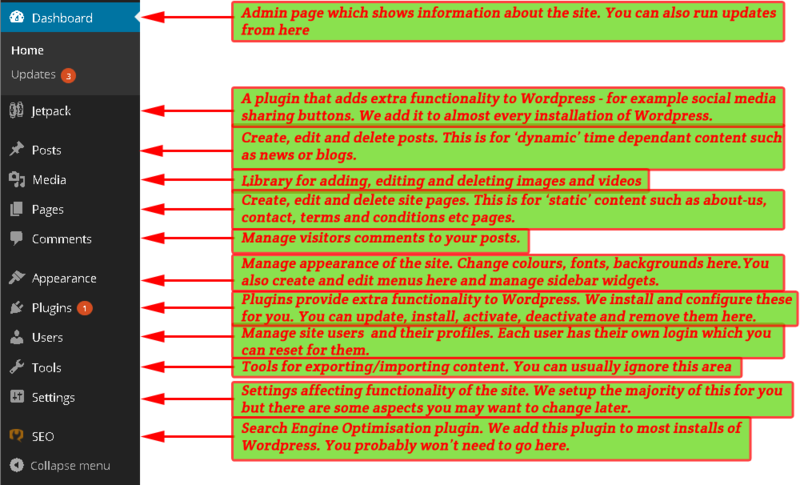 To use the WordPress functionality you will need to get around the place for which there are two important features of the interface. These are the navigation menu running vertically down the left hand side and the toolbar running horizontally along the top. 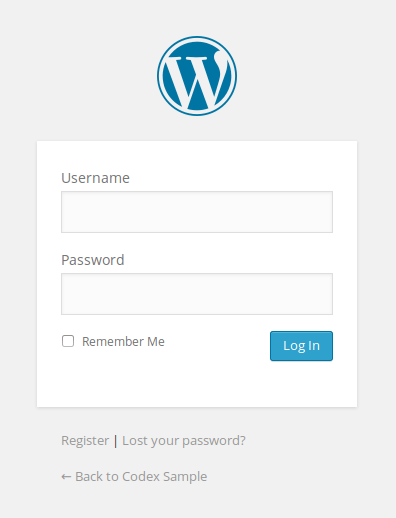 The WordPress dashboard is the first screen you see after logging in. 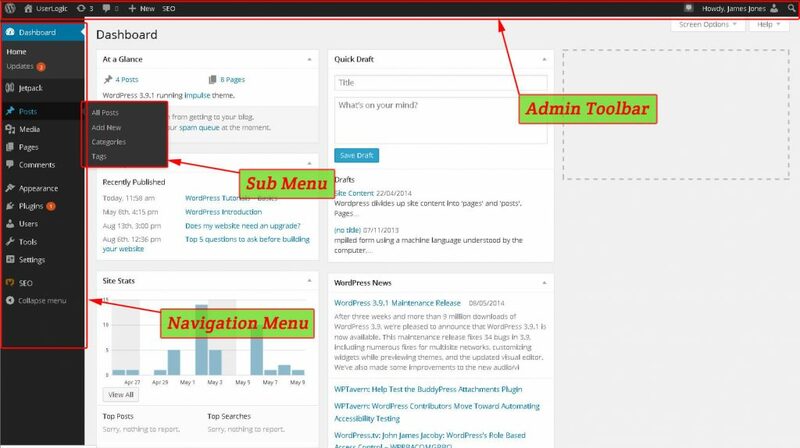 Read about the dashboard in more details at the WordPress codex dashboard page. The links on this menu access the different administration screens. 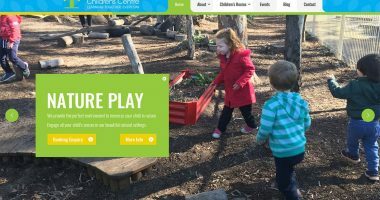 Hovering over the links in the navigation menu will often reveal a sub-menu with more options. For example in the admin screenshot above the posts sub-menu is displayed. Additional items can be added to this menu by us installing plugins or adding them manually. The toolbar runs horizontally along the top of the screen and contains useful shortcuts. This can also be added to by plugins. Sometimes we also remove options if they are going to be of no relevance to you. For example a site where comments are disabled has no need for a comments button. Click the ‘Screen Options’ tab located just below the admin toolbar shown in the image below. When you click the ‘Screen Options’ tab a box similar to the image below will appear. The example below shows the modules you can show or hide on the ‘post editing’ screen. Tick the features you want to show, and untick the features you want to hide. If you find yourself stuck then another source of help is the aptly named ‘Help’ tab located right next to the ‘Screen Options’ tab. Clicking it will open up a box similar to the image below with information about the screen you’re on. 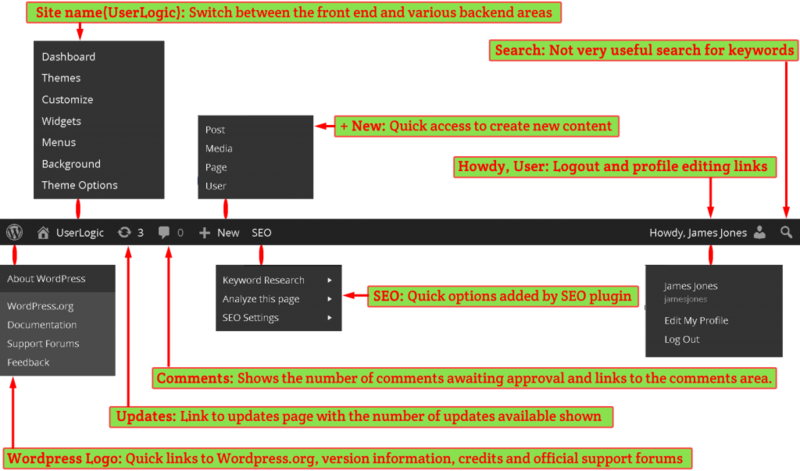 An example of help available for the ‘post editing’ screen. 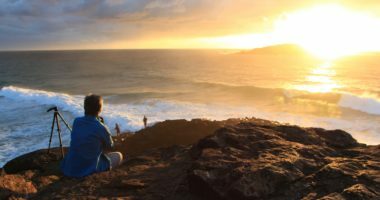 Try creating a WordPress post in our posts tutorial.